XAH.COM - Domain on Auction on Bido - Ends Wed 06/15, 3:40pm EDT Strong 3 letter com priced to sell! Zah! Strong 3 letter com priced to sell! Zah! Seller will not sell for less that $7000 !!!!! 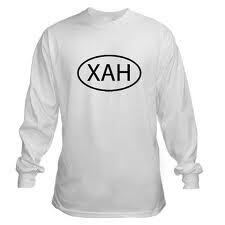 Xah is a popular first name in China and other Asian countries! Develop or buy to resell at a profit for the future! When the "haxer" becomes the "haxee." When a person who thinks they have accomplished a hax is actually the one who gets haxed him/herself. Almost always with a hilarious result. Lucas: Dude! I totally haxed that test! I got a 100 without even studying!